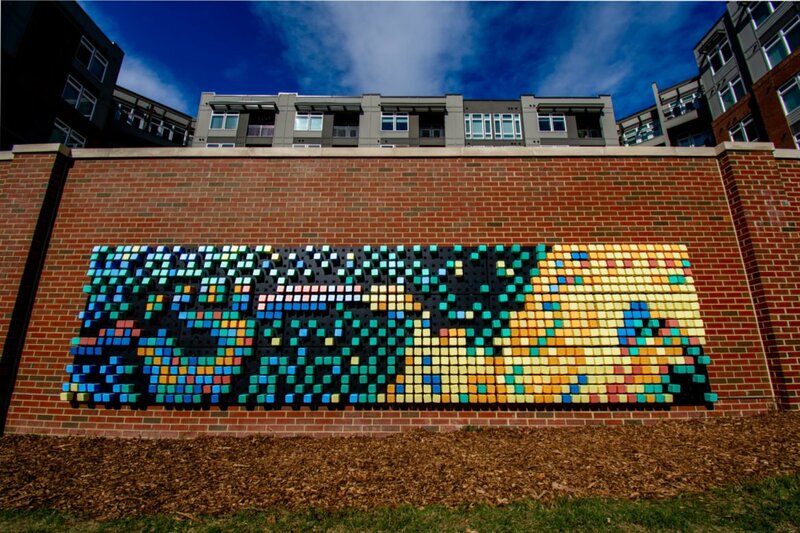 Durham Central Park’s INTERACTIVE Pixel Wall was installed on November 4, 2018. 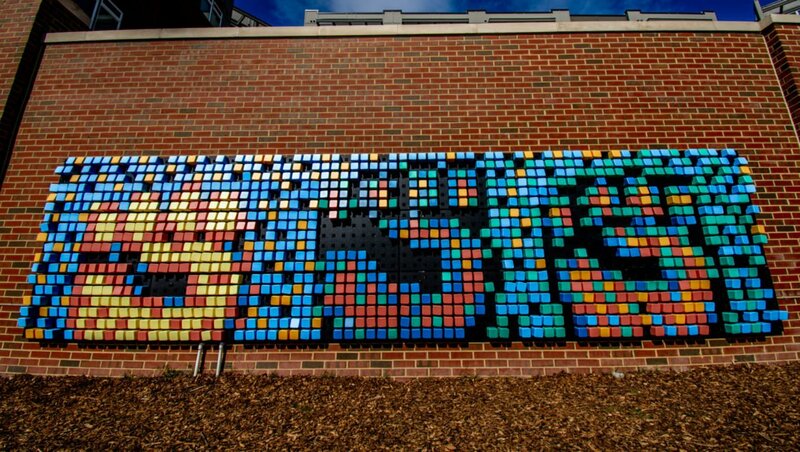 It is a series of 3 panels filled with colorful blocks meant for everyone to move around and make their own art. You can find it on the east side of the park, on the Liberty Warehouse Apartment Brick Wall overlooking the great lawn. We’re Noa and Jennifer of Pixel Patch Creative. We are an artist collective founded to promote inclusive community engagement. We design simple tools so communities have accessible ways to express themselves creatively. We embarked on this project almost a year ago when we came to Durham to design an art piece that was reflective of the Durham community’s values and interests. We quickly realized how special this city is and were amazed to discover such genuine interest in community support and participation. We also learned that the community building that makes Durham special is built on a long historic legacy of both art-making and activism. We were reminded of the historical significance of painted murals as tools for both beautification and resistance, particularly for people at the margins. We decided that this piece, The Story Goes On, should both celebrate the region’s artistic legacy while providing space for emerging creative visions. We have designed an interactive mural comprised of thousands of pixel blocks that plug into those three canvases that you see over there. And if you look, you’ll see we’re opening the piece today with an image of a young girl imagining her future through the paint brush. She is offset by a succession of clenched fists, as a way to acknowledge the unity, strength and struggle of those that came before her that have provided her with the opportunity to imagine, with the opportunity to create. We believe this image reflects Durham – a place deeply rooted in a legacy of art and struggle. And just as Durham uses that history to re-imagine itself, so too will this mural be remade as it evolves in your hands. So We invite you to design the future of this mural. move the blocks around to craft your own image, tell a story, begin a conversation. 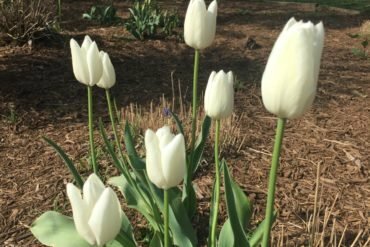 We hope this piece will be yet another gathering space in Durham and build off of the City and Durham Central Parks’ vision for this community to play, share ideas, and imagine an inclusive, supportive future. As you all begin to move the blocks around, you’ll find we have etched quotes from local visionaries who have used their craft to advance social change. These thought leaders have provided a critique on the world as it was and dared to imagine the world as it could be. We invite you to continue that tradition.